My 3xgreat grandfather Thomas Brookes was baptised in 1809 in Canon Pyon, Herefordshire - the fourth son born to James & Ann Brookes. I don't know anything about his early life yet, but in 1836 he married Lucy Griffiths in Stretton Sugwas, Herefordshire, with his brother William Brookes & sister Elizabeth Eveson as witnesses. By 1841 Thomas & Lucy were living in the Kings Acre area of Hereford with three small children and Thomas working as an agricultural labourer. The census returns above indicate that Thomas thought he was born in Wellington, although his baptism is recorded as Canon Pyon. 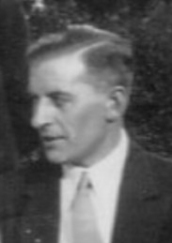 His younger brother John also describes himself as being born in Wellington, so perhaps their parents moved there after Thomas was born and that is where he remembered growing up. Thomas Brookes died in 1865 in Kings Acre and was buried in Breinton, although I can't find any tombstone. His wife Lucy survived him by many years. In 1881 she was still living in Kings Acre with, on the night of the census at least, her married son Thomas Brookes - my great great grandfather. However, she died a matter of weeks after the census was taken and was also buried at Breinton. So far, with the help of some other Brookes descendants, I have traced at least some of the lives of Thomas & Lucy's children. The eldest son Peter Brookes seems not to have married. He was still living in Herefordshire in 1871, but by 1881 had moved to Buckinghamshire where he worked as a groom. I don't know yet what happened to him after that. The second son, John Brookes married Elizabeth Nelmes in 1867 in Hereford, but at some point in the early 1870s they moved to the Llangorse area in Wales. They had at least 5 children and I am lucky enough to be in touch with one of John's great grandchildren. 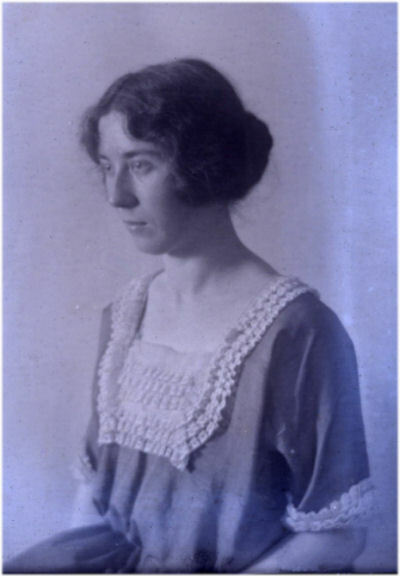 Most of John's children seem to have stayed in Wales, but one at least - Edith Brooks returned to Herefordshire and settled in Hope under Dinmore with her husband George Millichap. The eldest daughter Mary Brookes married William Edwards in 1869 and so far I have found 3 children for them. At some point they moved to the Edgbaston area of Birmingham as their oldest two children were born there and the family were living there in 1871. By 1881 they were all back in Herefordshire, living in Withington, where William worked as a gardener. They were still there in 1891, by which time my great grandfather James Brookes, their nephew, had joined them as a gardener too. The second daughter Ann Brookes seems to have disappeared after 1861. I don't know whether she married or died, so if anyone has any clues, please get in touch. The next daughter Betsey Brookes died aged only 19 while working as a servant in Hereford. Thomas & Lucy's youngest daughter - Lucy Brookes married John Maria Bonhomme in 1877. They lived in the London area and had several children before Lucy's premature death in 1889. I have been lucky enough to make contact with one of Lucy's great grandchildren. She has kindly given me copies of photos below of 3 generations of this side of the family. The photo on the left is Lucy's husband John Bonhomme, the one in the middle is her daughter Grace Harding nee Bonhomme and the one on the right is her grand-daughter Lucy Harding. 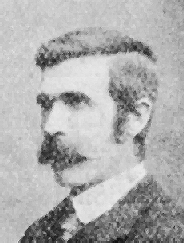 Thomas & Lucy Brookes' youngest child was James Brooks born in 1852. 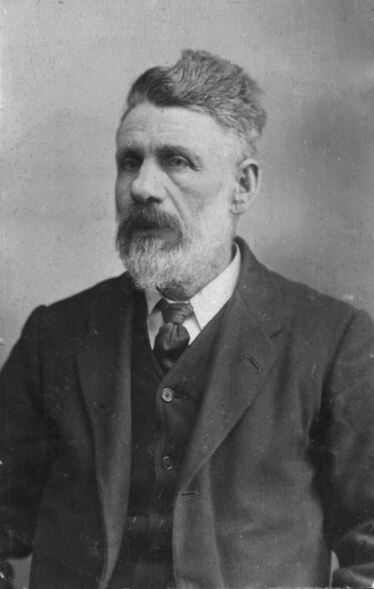 He married Ann Preece in 1878 in Wormbridge, Herefordshire and they had at least 10 children together. James Brookes was also a gardener, like so many of the Brookes family it seems. The family lived in the St Pancras area of London. 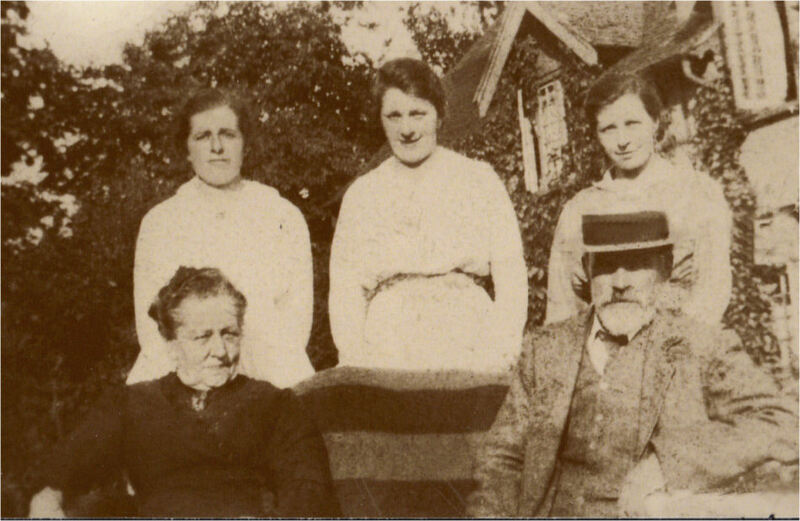 The photo below shows James and Ann in later years with 3 of their daughters, Hester, Emily & Lily. The photo below shows James' youngest son Fred Brooks (on the right) alongside his cousin James Brookes (my great grandfather). I think the family resemblance is quite strong. Please click on one of the red links on the tree to move to a different page or part of the tree.